With Valentine's Day right around the corner we thought we would share a sweet treat that we have available at our Stephanie Grace store! 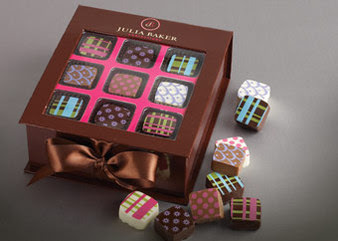 They are beautiful gift sets of chocolates made by a "chic culinary artist and confectioner," Julia Baker. Her sets of chocolate truffles are not only extremely tasty but they are gorgeous in their presentation by themselves. 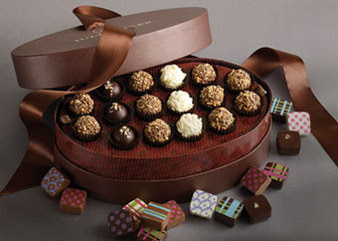 Right now, she is even customizing her chocolate gift sets for Valentine's Day with beautiful heart designs and unique patterns appropriate for the holiday. 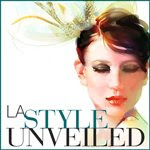 You can find her work at www.juliabakerconfections.com or here, at our store in Santa Monica!